Small Things Make a Big Difference: In fishing, the small details can be anything from the size of the fly or leader to the moon phase, tide stage, or current flow. In business, too, the little things can have major impact…whether that is a specific transaction detail, a tweak in a marketing campaign, or a passing comment to a team member that results in a lift in employee engagement. Matching the Hatch: In trout fishing, this is a simple but critical theory; match your fly selection with the natural insect hatches because the trout are likely ignoring everything else. In business, it is imperative to align your vision with that of your target market (external), and to connect on the same level with your team to garner staff motivation and cultivate a healthy culture (internal). Reading the Water: Things like current speed/direction, shoreline structure, depth, contour, and vegetation all affect fish habitat and can be key factors in whether or not fish will even be present, much less eating. Market conditions are no different in business. There are industry trends, consumer patterns, financial data, and performance analyses that all help depict the current business environment and provide insight for the decision making process. Catch and Release: Victor Lipman sums this one up best in his article, “In fly fishing and business, what ultimately matters is not just what gets done, it’s the way it’s done. Long-term success requiressustainable results, not just results achieved with a trail of bodies in their wake. ” Hard to disagree with him; the short term picture is not always the best perspective, and by including the long term in your horizon, you may stand to gain even more in the long run. Do the Right Thing: Since fishing is often more about solitude than being social, there may be nobody else that notices when you do something wrong. But fish always seem to notice when things are not just right…wrong color fly, poor presentation, etc. 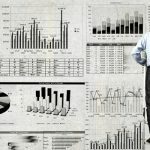 Again, the theory applies in the business world as well- employee turnover, customer retention, and brand reputation are all elements that will surely suffer when a business is not conducted in the proper manner. These points can all be made with other analogies, and their impact can certainly be applied to life in general rather than simply within the business world. But the article and author’s thoughts are certainly a good, even if simple, reminder to pay attention, be respectful, and have an intentional vision for everything we do.